Find answers to some of our most commonly asked questions right here. But if you don’t find the answer you’re looking for, feel free to drop us an enquiry using the form at the bottom. Of course! Take a look at our menus and you’ll find meals to suit every diet. If you require something more specific, please ask your server. I’m gluten free – can I eat at Mr McCracken? Of course you can! On our menu we have a number of gluten friendly options, so you’ll be sure to find something you like. I have a business lunch coming up. 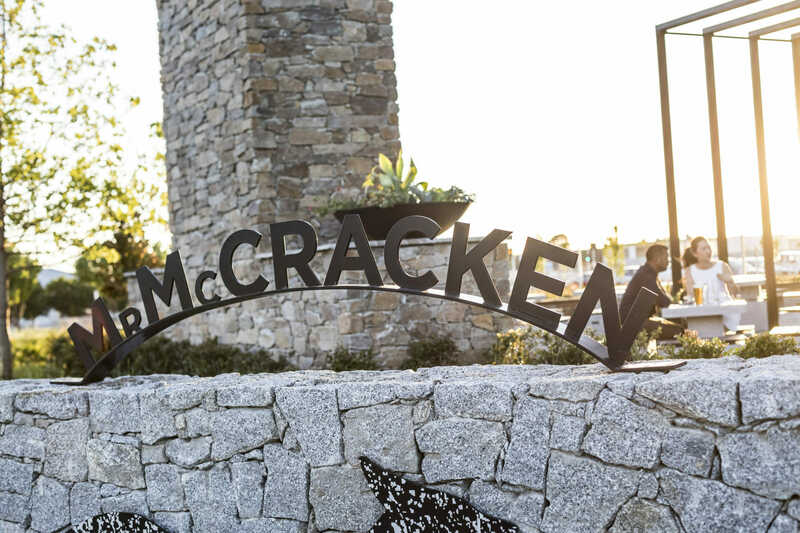 Should I bring my clients to Mr McCracken? Absolutely! We’d love to host you and your group. Let us take care of the fantastic food and delicious drinks while you get down to business in Essendon Field’s hottest lunch-time venue. Is there a minimum spend at Mr McCracken? Not if you just wanted to pop down and enjoy dinner and drinks. However our function spaces do come with minimum spends which are met by your food and beverages. How many people can you seat in your restaurant? We can accommodate a maximum capacity of 65 guests in our restaurant. No, all our spaces are first in best dressed. Is your outside space available all year round? Yes! We’ve installed a custom built fireplace to keep guests toasty on those chilly Melbourne evenings so you and your friends can always enjoy some Field-fresh air. How many people can you host in your bar? We can accommodate a maximum capacity of 100 guests in our bar. Can you make me a special cocktail for my function? Absolutely! Our mixologists love to create custom drinks for our valued customers. Come and chat to one of our friendly bar staff so they can get a feel for who you are as a person (or tell them about that special someone you’re throwing a party for) and they’ll come up with a drink to match. Mr McCracken wants all our guests to feel comfortable in our space, we ask our guests to dress to impress, no dirty workwear or intimidating dress. Our chefs use only the finest ingredients. We receive daily shipments from King Island, Flinders Island and Merimbula as well as topping up our shelves with other local produce. What sort of music might I hear at Mr McCracken? We have different live music every Friday - Sunday so the genre changes daily. We have some bigger gigs booked in advance and you can find out more about upcoming features here. However, we can always promise you quality live music to accompany your McCracken meal. Every day from 5 until 6pm! We didn’t answer your question? Shucks! Go ahead and submit your question right here and we’ll get back you as soon as possible.